The Fixman 4pc Mini Pick & Hook Set is made to get the job done. Constructed of durable metal and designed with soft grip handles. Four precision drivers to pull, pick and hook. Perfect for jewellery, electronics and hobby projects. 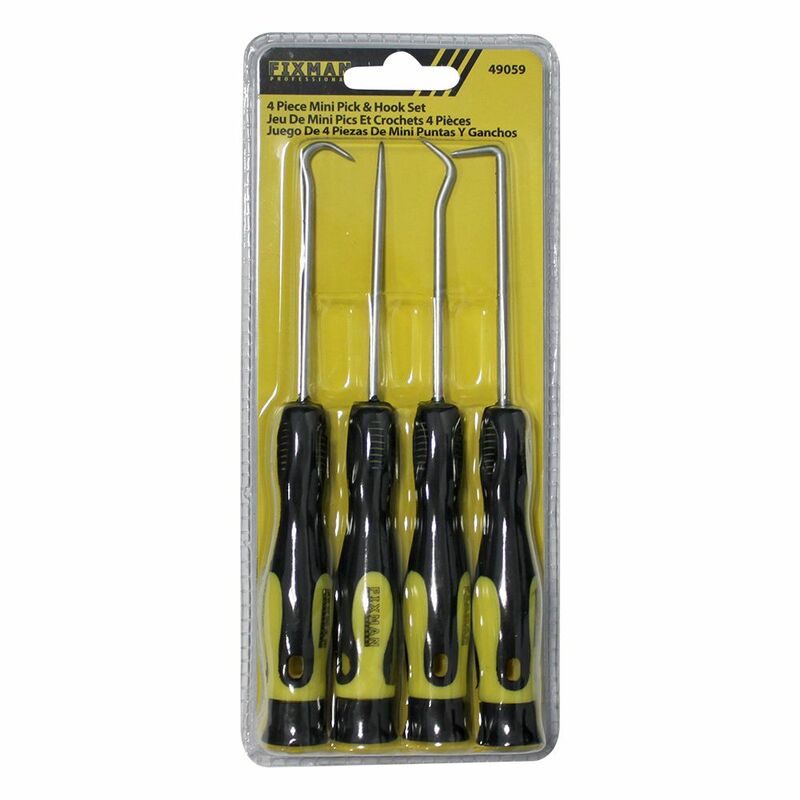 4 pc Mini Pick & Hook Set The Fixman 4pc Mini Pick & Hook Set is made to get the job done. Constructed of durable metal and designed with soft grip handles. Four precision drivers to pull, pick and hook. Perfect for jewellery, electronics and hobby projects.